The fruit has depth in this Pinot and I like it. 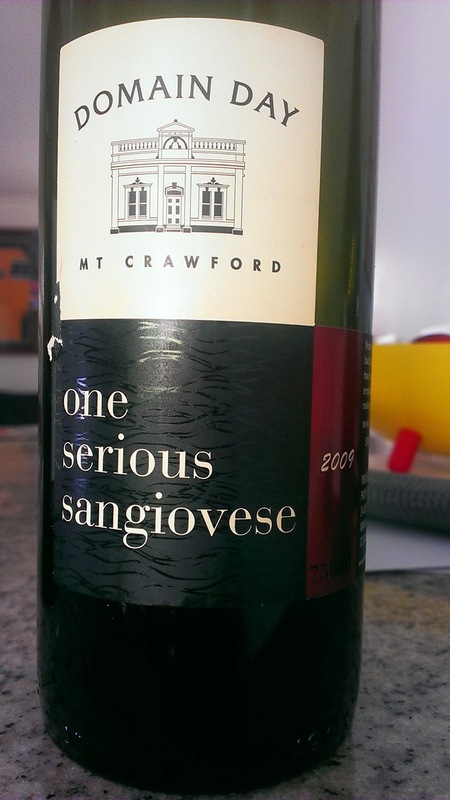 Dark cherries, plums, some savoury spice and a dash of foresty mulch characters. Good length and the palate is nicely balanced. Hand picked with 15% whole bunches. Persistent and polished maybe sums it up best. For the money, it's a very good value. A big tick. A couple of weeks ago, I set out with four mates to see and taste what the Mornington Peninsula region can offer. What took place over four days was absolutely incredible. We were blessed and privileged to have some amazing hospitality and experiences during our stay. For me, words can't do justice for what took place so I threw together a few photos to capture the moment. Thanks to all the locals who made this weekend a successful one for us, particularly Sam Coverdale for the accommodation at Polperro. Stay tuned for my tasting notes from our expedition, but for now, sit back and enjoy! An interesting mix of the lesser known varieties grown in the Barossa. A medley of Cinsault, Sangiovese, Dolcetto, Tannat and Ruby Cabernet. The quantities are unknown nor do I care too much simply because this is just a great little drop. Why? I get a sense my tongue is a target at the rifle range with shots of flavour hitting randomly all over yet it settles to a smooth and long finish. So much going on and I like it. Dark cherries, and there are lots of them! Plums, cranberry as well as some blueberries. A wine not to think too much about. Just to rip the cap off and enjoy it with friends. This certainly wouldn't be out of place at a Sunday barbeque. A bargain too at $20. The back label suggests can be served with a slight chill. I gave this a shot...yum! 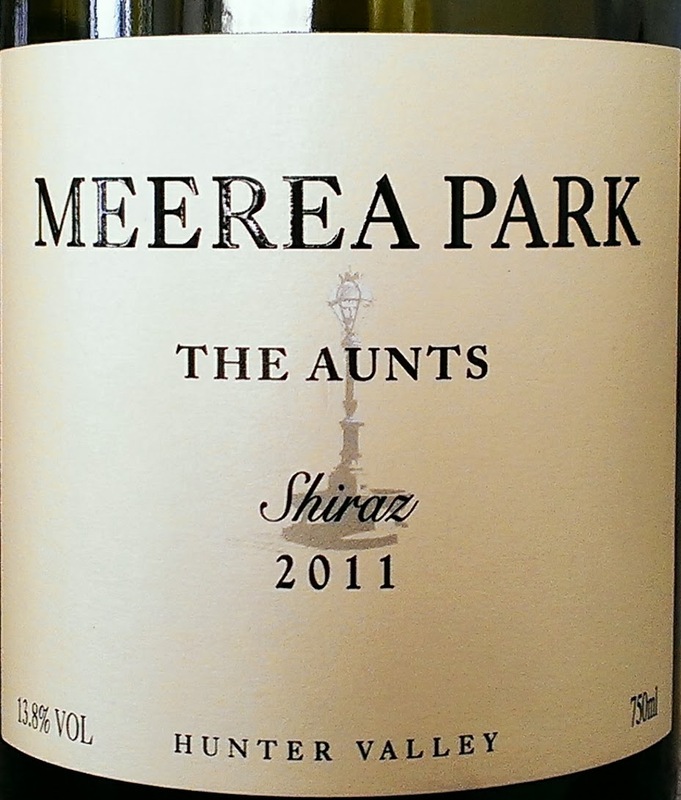 A blend of Shiraz (70%) and Pinot Noir (30%) from separate Hunter Valley vineyards. The blending of these two varieties was first undertaken by Hunter Valley legend Maurice O'Shea from McWilliams. Good aromas of dark cherry and florals. Not violets but a blueish flowers perhaps. I liked the palate weight, the meat jus characters and the smoothness of the fruit. The finish is drying with a super long length. I could happily sip away at this and top up my glass again and again. Vanilla, some butter, a touch of oak and peach flesh sum up the aromas best. These characters flow through nicely to a flavoursome palate. Great length. It just hangs on for dear life which caught me by surprise. Just delicious. I'd happily pick up a bottle and smash it with some roast chicken. Drink now or within two years. An entry level Shiraz which does the job. 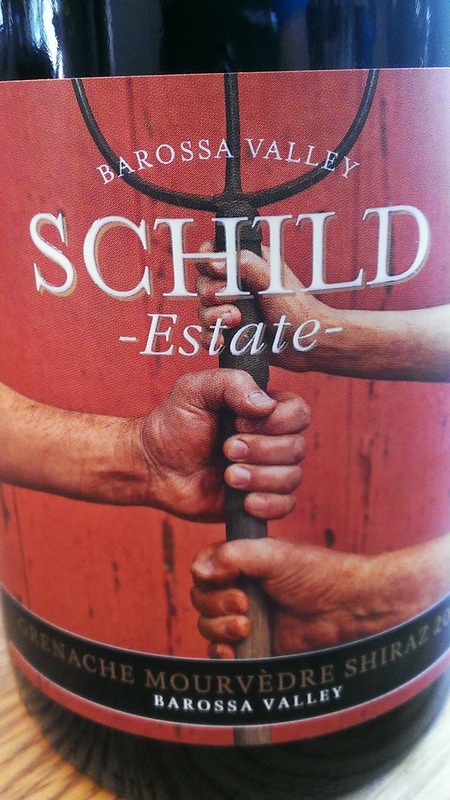 Sourced from two vineyards, the wine was aged in French oak. Whole bunches were used to add complexity and they have. Red fruits dominate here with a soft peppery finish. Not too much fruit depth however, but an easy drinking wine nonetheless. A fair drop and I'd be happy to have a glass or two. The vines for this wine wine were planted in the 1960's. 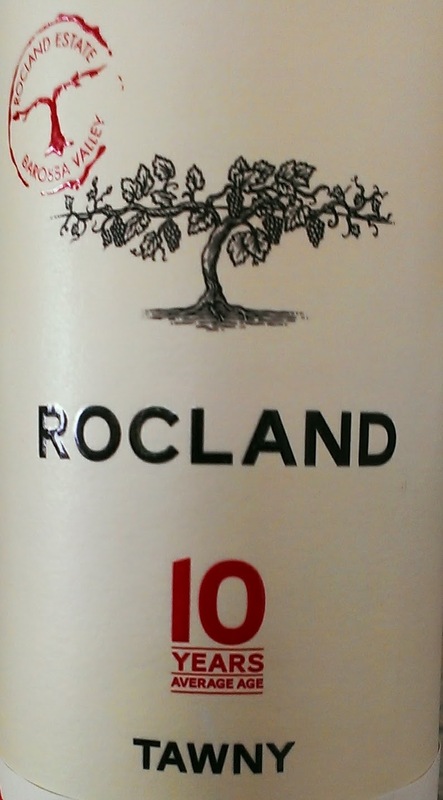 Matured in French oak for 20 months, open vat fermentation was used. Red earth, cedar, chocolate and leathery aromas set an inviting scene. Oak is noticeable on the palate as is some chocolate, cardamom and nutmeg. There is lots of front palate action and it is there that flavours linger. Nothing flushing through to the back which I found disappointing. Grainy and drying tannins to finish off but a wine lacking some balance in my opinion. 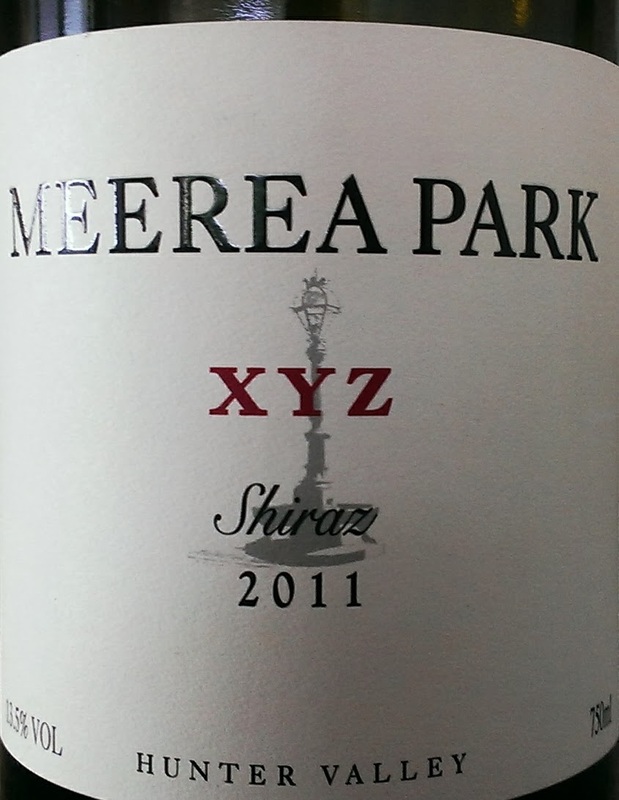 I preferred the XYZ Shiraz which will also save you five bucks. A Sauvignon Blanc made with Western Australian fruit but no region is stated on the bottle nor could it be located on the web. A simple wine. Nothing really grabbing my attention. Some lemon grass, lemony citrus and green pea characters. Linear and the acid levels are down which makes this easy to throw back. Nothing jumping out to grab me. I'll pass. 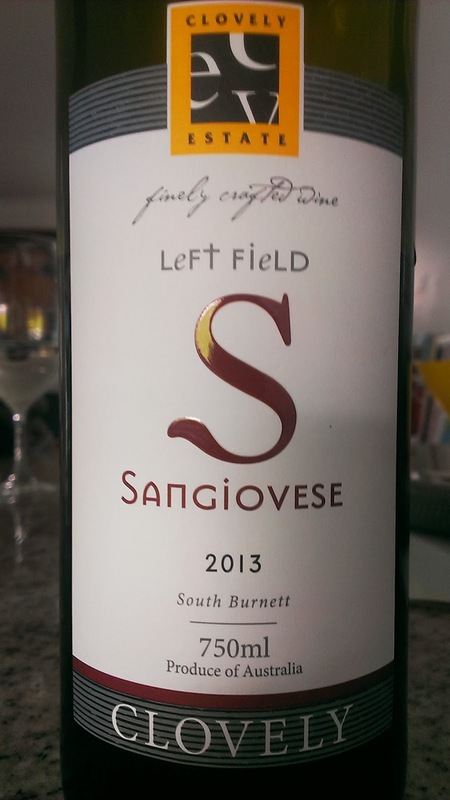 In recent years most of Clovely Estate's Sangiovese fruit has been used to make Rosé. The quality of the 2013 vintage changed this approach and the result is a very good drop. A lovely bright appearance, the wine coats the mouth well. Black tea and dark cherry characters are the highlights here. A very balanced wine which is easy to go back to. Pizza and pasta dishes would be all over this. 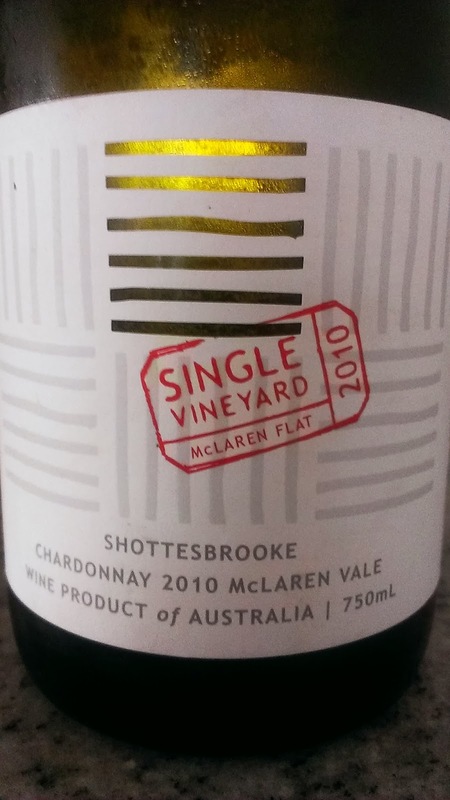 Available at Craft Wine Store, Clovely's Red Hill cellar door, or check the website for further retail availability. One thing I ensure I do after having a look at samples is putting those wines in front of as many people as I can. This gives greater exposure for the producer and gives the punter an opportunity to see different wines. A win win. I put this wine in front of some friends the day after my initial tasting. The response following a quick sip, "I'll have some more of that thanks!" Plummy with good fruit depth. Some dried fruit characters chip in also to a nicely rounded palate. The wine's acidity is well balanced and I can easily see this wine befriending a big slice if lasagne. A good wine to be had within three years. Aged for an average of ten years, this was an excellent match with my dessert on Christmas Day. Overflowing with Christmas cake and spiced fruit aromas, the palate delivers nutty flavours of almond and cashew. A ridiculously long finish and a dash of spice which slowly dries out simply entices another sip. Fortified wines are often underrated and very good value. This exemplifies that. I'd definitely grab a bottle of this given the chance. This is a ripper! 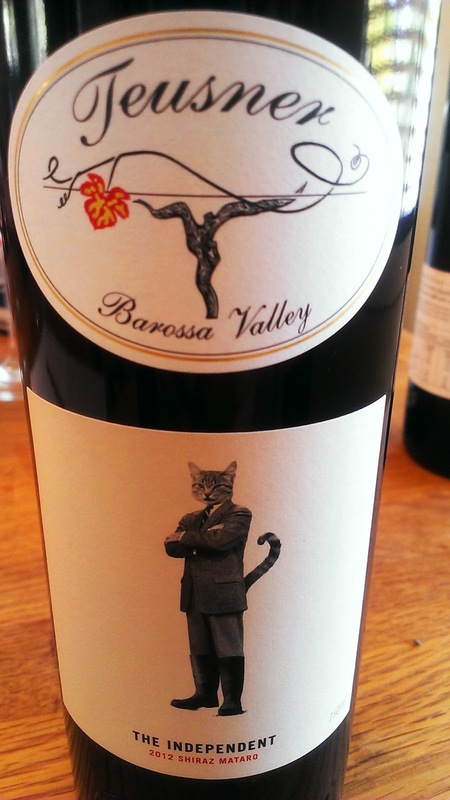 And a cool cat - I do rate the label. Berry basket, the frozen berry packet type, this wine is bold and inky in appearance. There's a little mint character with some savoury dried herbs, a perfect match for herb crusted lamb perhaps. Quite giving and flavoursome, the wine continued to develop nicely in the glass. Tasted blind beside wines of different varieties, vintage and price point, this stood out for all the right reasons. Semillon can be a bit like Riesling. By that I mean excellent drinking and relatively inexpensive for what you get. Have it fresh or hold off and be rewarded furthermore a few years later. I loved this drop. A cracking wine and easy on the pocket for the quality delivered. Slight golden in appearance, tropical aromas spill from the glass along with grassy and green been characters. There is a textural element to the wine which coats the palate with apple skin like flavours. Throw in some lemon and tropical fruit and it's time to yank the chain on the flavour train. The length lingers and the wine is oh so slurpable. 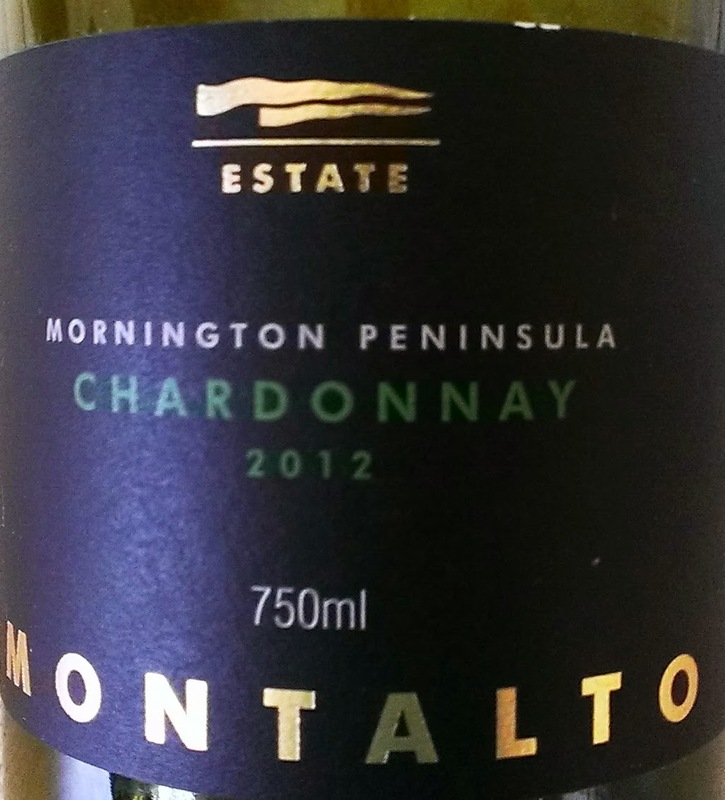 A great example of a 2013 Hunter Semillon which will cellar for at least a decade. A wine well worth hunting down. Fresh, aromatic and so damn easy to drink. 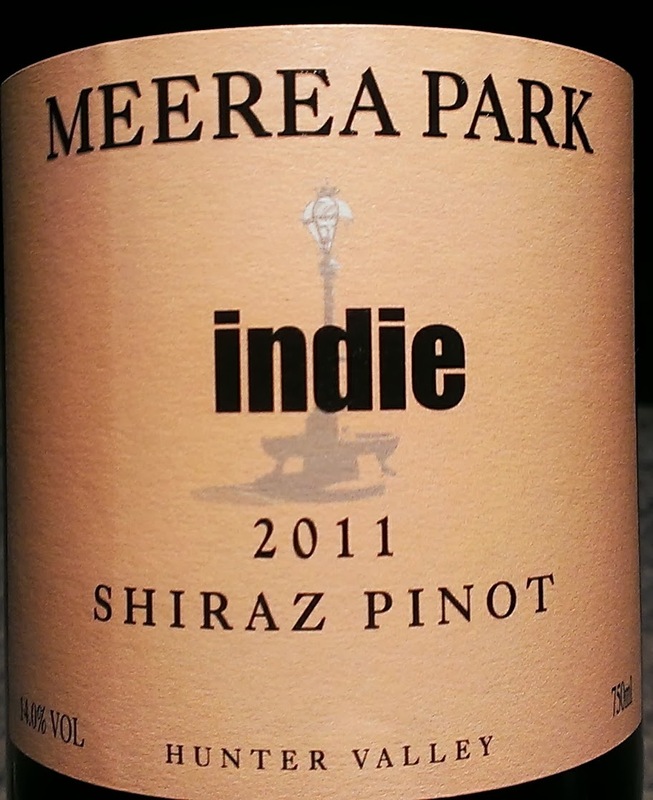 A blend of blend of 50% Grenache, 22% Cabernet with the remainder made up of Shiraz, Pinot Meunier and Pinot Noir. Brief skin contact and a six week cold fermentation of free run juice is all the technical detail you need to know. 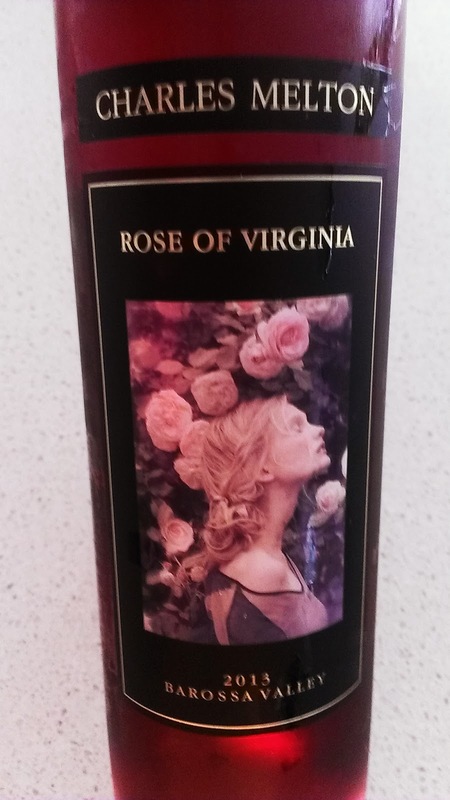 This wine rescued me on a near forty degree Brisbane summer afternoon, and what a rescue package it was. Fresh and balanced. Scented with dried red flowers, it's deliciously moreish with an abundance of red fruit. There's a touch of spice to finish. Not too sweet nor too dry, this is a cracker and something for other Rosés to aspire to. Serve icy cold with a big smile! Stick it on the shopping list. 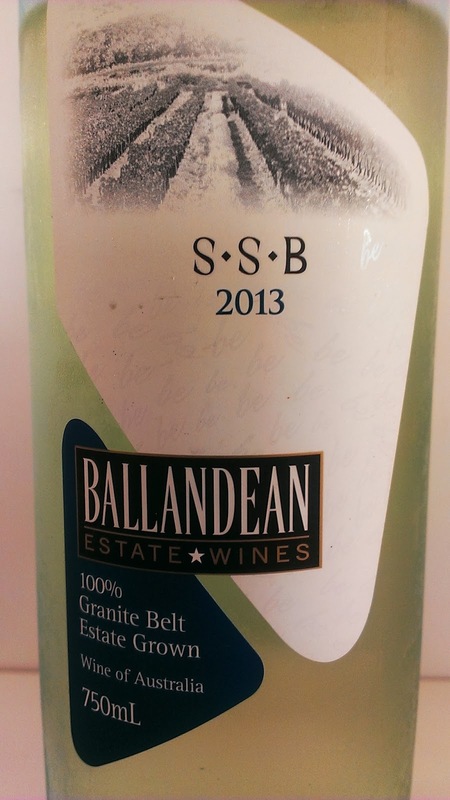 Cut grass, green melon, lemon grass and a lick of tropical fruit kick things off for this Semillon Sauvignon Blanc. The percentages of each variety are unknown yet I'm not too concerned. A wine like this needs to hit the spot and it does. Well priced, it's clean and crisp with a zesty zip on finish. Think warm days and barbeques. Even have it with fresh mud crab and mango salad...I did! A good wine and something I'd be happy to have a glass of. A refreshing alternative to those who immediately shoot for Sauvignon Blanc. Laced with tropical fruits, green melon and zippy lemon citrus characters with a touch of spice. A clean and crisp finish with good length this is a wine that leans itself to a warm day with your feet in the pool or kicking back enjoying some Thai food. A solid wine worth considering. 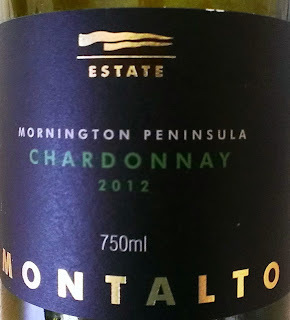 Having had the luxury to a look at the two Montalto single vineyard Chardonnays, Hawkins Hill and The Eleven, this is certainly not in the same league. And being the next label down, nor would it be. Aromas of sour dough, lemons and lemon rind and chunky oak. Plenty of mouth warmth on the palate with a touch of spice but the acid is on the higher side. Fair length but the fruit tails off too quickly. I'd much prefer to head towards the single vineyard wines given the choice. On a recent Noosa holiday, the weather was warm and I was in need of a Prosecco fix. I came across this drop and I've since guzzled more than a few bottles to take the heat out of the afternoon. Very refreshing, easy to throw back and a terrific price...what more could you want? Highlighted by green apples, the wine is clean and crisp. Not too sweet nor too dry, there are citrusy and honey characters in the mix too. 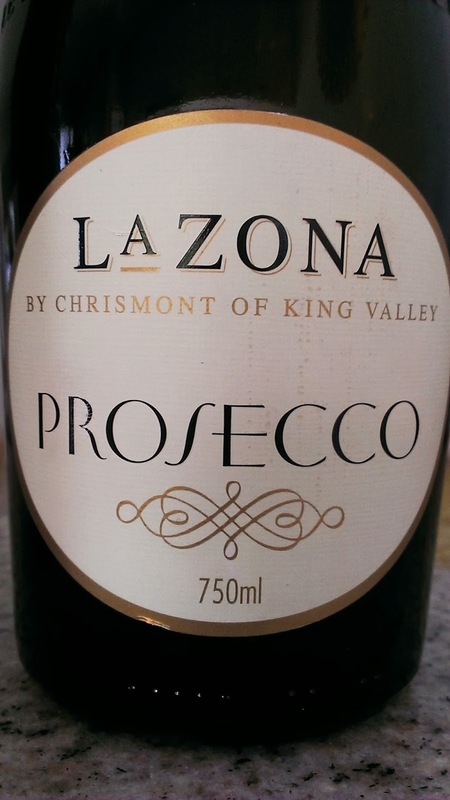 Have as an aperitif or with seafood, this is a very good wine and a bargain at that price. A very attractive wine to stick your nose in. 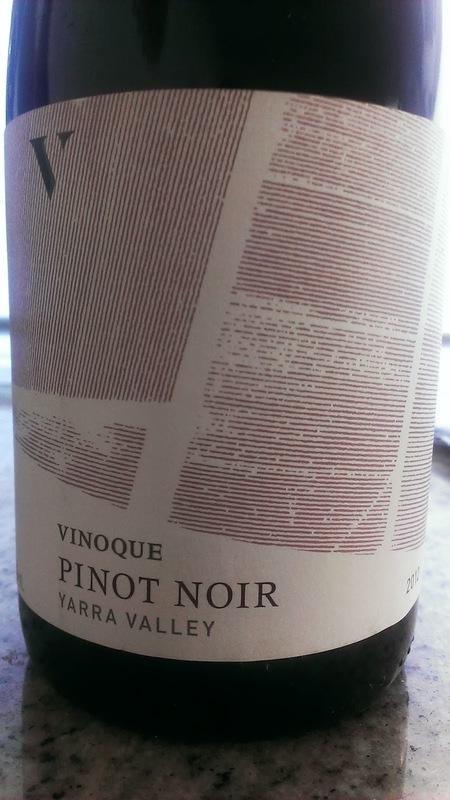 The blend of Grenache, Mourvedre and Shiraz throw up some dried florals and strawberry coulis. Flavours are persistent and delicious highlighted by red fruits and raspberry lollies. There's a sprinkle of peppery spice to finish. Two things struck me particularly, the freshness of the fruit and simple fact there is no oak in sight. All the fruit does the talking. I tasted this wine in a line up of 23 reds of varying price point and variety and it bashed down the door to grab a spot in the top five. An impressive drop made even more fabulous by the asking price...$15!